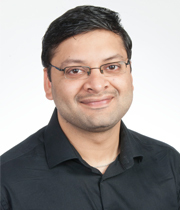 V. Raghava Mutharaju got his PhD in Computer Science and Engineering from Wright State University, Dayton, OH, USA in 2016. After his PhD, he worked as a Research Scientist at GE Global Research Center, Niskayuna, NY, USA. At GE Global Research, his work involved building knowledge graphs from unstructured and semi-structured data, along with using knowledge graphs for predictive analytics. His research interests are in various aspects of Knowledge Graphs/Semantic Web such as construction, ontology modeling, reasoning, querying, and its applications to specific domains such as healthcare. He is also interested in Big Data applications. He has published at several venues such as ISWC, ESWC, ECAI, and WISE. He co-organized workshops at WebSci 2017, ISWC 2015 and tutorials at IJCAI 2016, AAAI 2015 and ISWC 2014. He is/has been on the Program Committee of several (Semantic) Web conferences such as WWW, ISWC, ESWC, K-CAP and SEMANTiCS. His hobbies are tennis, hiking, running, chess, foosball, reading manga, and watching anime.